HAUPPAUGE, NY -- CIRCOR Aerospace, Inc., a CIRCOR International, Inc. company, announced the promotion of Robert Lenardi to General Manager for the CIRCOR Aerospace & Defense New York business. Lenardi will report directly to CIRCOR Aerospace & Defense Group President Vincent Sandoval. He will have full responsibility for the implementation of CIRCOR’s growth, productivity and factory execution strategy for the New York business. Lenardi has been the Director of Operations for the Long Island facility for the past 3 years. He has been instrumental in major continuous improvement initiatives including setting up the Predator-Reaper assembly line ahead of schedule, introduced 3D solid modeling integration into the New Product Introduction process, as well as key improvements which led to the recent Lockheed Martin 100% quality and on-time delivery award. 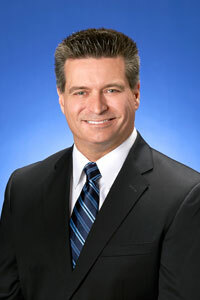 In his 29 year career, Lenardi has held a variety of operations leadership roles at Curtiss-Wright and Thomas C. Wilson. He holds a Master's of Science degree in Operations Management from New York University Polytechnic as well as a Bachelors of Science degree in Mechanical Engineering from the New York Institute of Technology. “Rob is an engaging leader. We look forward to seeing more success for the New York business and exceeding customer requirements,” noted CIRCOR Aerospace & Defense President Vincent Sandoval.